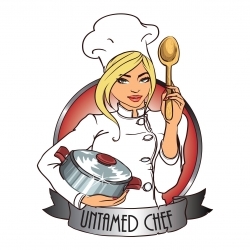 The Untamed Chef is a new twist on dining where the chef teaches unique cooking concepts and brings her own untamed flair. A Homemade meal is prepared right in front of guests introducing creative ingredients to help them expand their cooking skills. The full freshly cooked meal is served at the end of the class. All classes are BYOB. Peoria, IL, February 26, 2018 --(PR.com)-- Learn How to Cook from the Best of the Best and Have Fun Doing it. Classes are customized to create a themed menu each day and are interactively instructed by the Chef. Most of the time, prep work has been performed by the staff prior to guests' arrival. Upon arrival there is a brief orientation of the menu and kitchen operations. Diners are encouraged to sit back and interact with each other and the Chef as dinner is prepared. Along the way, sample drinks/cocktails s are served and the Chef may even have some fun and participative games. New and unique ingredients are introduced each evening making the experience quite educational, and guests are encouraged to interact with the Chef to complete the entertaining experience. By the end of the night they have learned great new food knowledge and techniques. The restaurant is open for lunch Monday through Friday from 11:30 a.m. to 1:30 p.m. The evening classes are available Tuesday through Friday starting at 6 p.m. Daily menu items can be viewed on the Cooking Classes page of the website Untamedchefcooking.com. Saturdays classes are available to groups of ten or more for special events. Prices vary depending on the food item the group selects.